Andrew & Co Solicitors is a progressive, dynamic, highly-regarded law firm working in Lincolnshire and North Nottinghamshire. Our award winning commercial and private client practice are specialists in Family Businesses, Charities, Residential and Commercial Property and Agriculture. We have 7 forward thinking Partners and nearly 55 staff supporting our clients. We build strong and durable relationships, working in collaboration with clients to support them and their business. Our approach to problem solving is progressive and reliable, delivering sensible solutions to protect and enhance our clients interests We deliver exceptional client service, assigning dedicated Client Partners who are responsible for ensuring that all our clients receive a diligent, competent and transparent service. At BakerLaw LLP we are trusted to be involved during some of the most critical times of a person's life. When that time comes, we are here to help. We are a firm of solicitors with offices in Farnham, Surrey and London working with individuals, families, business and organisations throughout the South of England and beyond providing a full range of legal services. Barcan+Kirby is a law firm with a reputation for providing high quality, common sense advice. We offer a comprehensive range of legal services supported by our culture of respect and understanding. From our six offices located across Bristol and South Gloucestershire, our friendly and approachable teams provide advice and guidance to both individuals and businesses within the South West and nationwide. Highly ranked in both Legal 500 and Chambers and Partners UK. Not all law firms are the same. We think we’re part of a new breed of legal services providers. One who focuses less on telling you how complex the law is, more on making it work to your advantage. Our story began more than 200 years ago when Brethertons launched as a small firm of lawyers for local farmers and landowners. We’re proud of our past; it has shaped our present. But these days there’s not a mahogany desk or inch of wood panelling in sight. Brooks & Partners is a firm of Solicitors, based in Frimley, Surrey. Our team of professionals is experienced in handling all aspects of private, business and commercial law offering a comprehensive range of legal services to both individuals and business clients. Our clients range from private individuals, sole traders, partnerships and limited companies. Services include: Wills, Trusts & Probate Residential Conveyancing Commercial Property Employment Family and Matrimonial Mediation Litigation and Dispute Resolution Brooks & Partners are the solicitors of choice for Frimley, Camberley, Farnborough, Fleet, Guildford, Aldershot and Farnham, as well as the wider Surrey and North East Hampshire areas. Buckles Solicitors LLP provides a comprehensive range of legal services to businesses and individuals in the UK and internationally from our offices in Peterborough, London, Nottingham and Stamford and via our resident consultants in Paris and Milan. We pride ourselves on being straight talkers, open and transparent so we use plain language to talk to our clients, not legal jargon. We have an unparalleled depth of expertise across our 15 service areas. Our strapline, "legally focused, relationship driven", demonstrates our commitment to providing clients with clear and concise legal advice combined with the very best client experience. We have specialist experience in all aspects of divorce and separation, living together, disputes over money, parenting issues, pre and postnuptial agreements. Chattertons is a leading firm of solicitors and provider of wealth management services in Lincolnshire and across the East Midlands. The firm provides a comprehensive range of services delivering first class, client focused and trusted advice to individuals and businesses from its offices in Boston, Grantham, Bourne, Horncastle, Lincoln, London, Newark, Sleaford, Spalding and Stamford. David W Harris & Co Solicitors is a law firm operating out of 4 offices in South Wales: Pontypridd, Talbot Green, Pencoed and Swansea. We provide a complete range of legal services for people who want to find a solicitor, specialising in Personal Injury Law, Family Law, Wills and Probate, Criminal Law, Buying and Selling Houses and General Litigation. David W Harris & Co Solicitors was formed in 1946 in Pontypridd. It is therefore one of the longest established firms in the South Wales area. In addition to the branch at Pontypridd it now has branches in Pencoed near Bridgend, Talbot Green and Swansea. Over the last 60 years our firm has gained a wealth of experience in many areas of the law and today we still offer clients a broad range of legal services. As a firm we pride ourselves on having legal advisors who are friendly, approachable and able to give good quality straightforward legal advice. Spread over the 4 offices we have more than 20 members of staff legally qualified to provide you with advice across a broad range of legal matters. We have found that our clients still want the personal service that only a firm like ours can provide where they can deal with the same experienced Lawyer from the beginning to the end of their case. Our team of specialist solicitors are experienced in handling the most common and the most complex legal situations, from the writing of a simple will to the most complicated brain injury claim. Having served the people of Hampshire for over 50 years, Eric Robinson Solicitors has earned an enviable reputation for innovation, hard work and high standards of service in all areas of both private and commercial law. Since 2014, the firm has expanded beyond its Southampton base to open offices in Winchester, Lymington, Basingstoke, Portsmouth and, took its first residency outside Hampshire in the towns of Bracknell in neighbouring Berkshire, and in late 2017 opened a further office in Richmond, bringing its total presence to ten offices across the South. In 2015, Eric Robinson Solicitors welcomed the arrival of ‘Eric the Owl’, who quickly took the region by storm. Appearing in advertising campaigns, at business exhibitions and a variety of local events, from fairs and carnivals to school fetes and charity fundraisers, Eric became the face of the firm and launched its new membership scheme, ‘Ask Eric’, which offers unlimited free 15 minute advice consultations and exceeded expectation by hitting over 1,000 members within its first year. 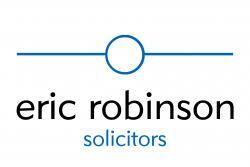 The following year, Eric was shortlisted for the Law Society’s ‘Excellence in Marketing & Communications Award’. Award winning solicitors based in Romford, Gidea Park & Collier Row Our primary goal is to provide a personal and efficient service of the highest quality to our clients. We have an experienced team of specialist legal advisors who not only provide excellent legal advice but also representation to both individuals and businesses. F Barnes are distinguished by our friendly and approachable manner, reasonable fees and commitment to exceeding client expectations. Our aim is to recruit dynamic, forward thinking individuals who wish to be part of our growth and who share the firm's core values. The practice has been established for over 60 years but progressive. Based in Romford and Gidea Park, our fee earners are all specialists in their respective fields and act for a wide range of commercial and private sector clients. Established 4 partner firm specialising in Crime, Family, Personal Injury and Civil law. Local Knowledge Fishers Solicitors has been providing advice to local businesses and individuals for many years. Our leading team of lawyers has gained an enviable reputation in the Midlands, having guided several generations through their legal affairs and helped them achieve their goals. We have an in-depth understanding of the region and have built a network of valuable links within the community for the advantage of our clients. Quality Standards Fishers Solicitors is Lexcel accredited. The Lexcel practice management standard is only awarded to solicitors who meet the highest management and customer care standards. Our family lawyers are members of Resolution. They are committed to the constructive and non-confrontational resolution of family disputes. Fishers Solicitors' Conveyancing department are members of the Law Society's Conveyancing Quality Scheme (CQS) - the mark of excellence for the home buying process. Client Care We pride ourselves on the standard of service and legal advice that we offer our clients. We aim to ensure that the service we provide meets their expectations from the start to the end of their matter. 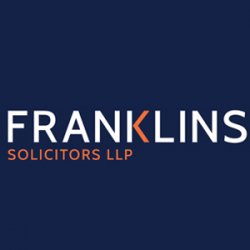 Franklins was set up by Michael Franklin and Keith Wyld in 1982 and since then has grown to be a well-respected firm occupying offices in both Central Milton Keynes and Northampton employing over 100 staff. We are one of the most highly quality-assured firms in the regions having achieved accreditation to ISO 9001. We have also achieved the award of the Law Society quality accreditation, Lexcel. These nationally and internationally recognised quality marks indicate the extent of our commitment to providing a first class service to you and set us apart from the vast majority of other law firms and legal services providers. The firm’s history goes back over 120 years. We operate from impressive premises in prime business areas of Folkestone and Dover, and combine traditional law firm values of commitment, reliability and expertise with a modern thinking and progressive approach to the delivery of legal services. We are accessible, approachable and use plain English and we employ experienced staff with the skills to understand the requirements of clients and to deliver exceptional service. We are a high street practice and serve the needs of a wide range of business and individuals within our geographical catchment area and, indeed, from wider a field as a result of a high level of personal recommendations from satisfied clients and business colleagues. We are located in the port town of Folkestone and Dover and have clients resident in Europe who take our advice on matters of English law. As a result we have developed good working relationships with lawyers in some European cities. We serve the needs of individuals, families and small to medium-size businesses (companies, partnerships and sole traders). We deliver a full range of legal services including Business Transfer work, Property Sales and Purchases, Wills, Estates and Tax Planning, Divorce, Finance and Children matters, Employment and Landlord and Tenant, Litigation including Contract disputes, contentious probate, personal injury, building disputes and all commercial disputes. We believe in long term relationships with clients and we take the time to understand their requirements, so that we can give the very best personally tailored service. We also believe that to deliver exceptional client service it is necessary to employ and retain exceptional staff. The wealth of their experience enables us to quickly and efficiently progress matters to conclusion often saving time and costs that might otherwise be wasted by those less experienced. This same philosophy applies to all staff including support staff, many of whom started their careers with us on leaving school and have returned (again and again in some cases) as family commitments have allowed. We’re a team of bright and experienced lawyers in Christchurch. We select the best professionals to work at Frettens, looking for a blend of knowledge and personality. Our jobs are all about people – we don’t see it as just dealing with legal problems, but as helping people to deal with big issues that they face. As your solicitor, our role is to understand you and what you are dealing with, clearly communicate your options and offer honest, clear advice. We are a Legal 500 firm, in 2017 every one of our Partners was recommended in Legal 500, plus several of our Associates. Based in Christchurch, we are in close proximity to miles of beautiful coastline, the New Forest and several great lifestyle towns. We are always looking for good quality candidates to join our team in Christchurch. This is a progressive firm where importance is placed on equal opportunities, personal development, client service and creating an enjoyable workplace. We aim to make sure that all our staff are properly supported, provided with relevant training and given the opportunity to progress. We welcome new ideas and initiative throughout the firm. Frettens offers a generous benefits package which includes private healthcare, life insurance, pension contribution, flexi-time and free/subsidised parking. Gawor & Co Solicitors in E1 are specialist Property Solicitors located in Wapping East London. Our Victorian Warehouse offices are situated fronting Wapping High Street adjacent to the River Thames. The City of London and Tower Bridge are less than a mile away travelling west and Canary Wharf is less thanks two miles away travelling East. We are an established firm of Solicitors trading for over 20 years. We specialise in property matters and provide our clients with legal advice and skills in all areas of residential and commercial property law, and have Solicitors who are ready, able and willing to give every assistance in making transactions as smooth and as stress free as possible whether acting for you, your business, your company or your property portfolio. As a full service law firm, Glanvilles provides legal services to both individuals and businesses. We have offices across the South Coast in Chichester, Fareham and Havant. Our services for individuals include Divorce, Dispute Resolution, Conveyancing, Wills, Trusts and Probate. Our services for businesses range from Commercial Litigation, Commercial Property, Corporate and Employment Law. Established in 1884, we continue to enhance our customer service experience as our absolute priority. As a result, we have been extremely pleased to have been awarded three highly sought after accreditations from The Law Society. Harrison Grant provides experience and expertise in environmental, planning and public law, human rights and advice on governance for charities and campaign groups. 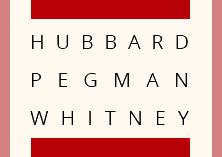 Noted for its role in high profile cases, it is recognised as a leading law firm of top lawyers. Harrison Grant is ranked as a leading firm in Chambers Guide to the Legal Profession and our partners are recognised as leading individuals by various legal directories. 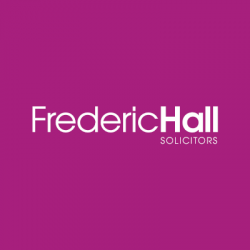 As well as being a local, long established (for over 170 years) leading firm of solicitors, we offer a comprehensive range of legal services for both individuals and businesses. Our dogmatic commitment to providing not only high quality legal advice but excellent customer service as well has enabled us to expand significantly in recent years to incorporate some of the leading law firms around Kent from Tenderten and Maidstone to Chatham. We are a local, well-established, firm of solicitors with a reputation for integrity, professionalism, and quality of service. 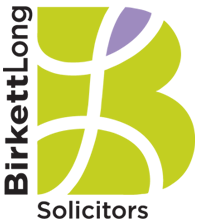 We have been a key provider of legal services for nearly 40 years, both within our local community and further afield. At hpjv, we recognise that our people are our greatest asset. We never rest on our laurels but strive continuously to invest in our people, because we know that this benefits them, our business, and, most importantly, our clients, many of whom have been with us for many years. Client care is at the heart of our core values. We are proud of our reputation and our outstanding level of client care. We are committed to supporting our clients and providing the best legal support to suit each individual’s needs. We offer a comprehensive range of services at competitive prices. Family Law, Conveyancing, Wills & Probate & Criminal Law. Our dedicated growing team provides high quality legal advice to all of our clients, including offering a Legal Aid service to those clients who are financially eligible. Practising in Banbury & Chipping Norton, Johnson & Gaunt provides legal services to businesses and individuals. We have specialists in many areas of law including residential property, accident claims, family law, child care and wills, trusts and probate. We also have a Legal Aid franchise for Child Care, Crime and Family Law. We offer a full commercial property service for businesses covering outright purchase as well as leasehold. We are large enough to command extensive resources, but small enough to offer our clients the personal touch. Our staff are approachable and friendly as well as professional. MRN has been providing a comprehensive legal costs service for over a decade, led by a senior solicitor and supported by a team of highly experienced solicitors, members of the bar and costs drafts people. The practice is based in Manchester, Leeds and London and serves the whole country. Our clients represent law firms of all sizes, from large nationals to small single partner practices and our work covers a wide spectrum of legal issues. We are regularly involved in multi-party class actions, £multi-million claims, including commercial disputes, clinical negligence and personal injury cases. We have dealt with civil litigation cases involving damages in excess of £500m from the highest court down. Our expert team has an enviable track record in effective costs presentation, negotiation and mediation of claims, regardless of their size. We also undertake assignments on behalf of Banks, Solicitors, Accountants or Insolvency Practitioners involved in the valuation of law firms. Serious personal injury and mesothelioma, asbestos related illness or medical negligence law is a specialist field, and our clients deserve the very best support. As well as excellent legal skills you’ll need exceptional people skills too. This is not the easiest field to work in, but it is one of the most rewarding. The work we do really does makes a difference to people’s lives. We recruit wisely and we actively encourage our staff to grow and develop in order to realise their potential. We are an Investors In People employer with clearly defined career structures and annual appraisal processes to support staff development. Our lawyers and skilled support teams enjoy an informal and professional working environment. We believe in the highest standards and attract people that thrive in a positive, engaging environment. If you are talented, ambitious and seeking a career in personal injury law we want to hear from you. Outset UK Group offers a creative and intelligent response to the complexity of business strategy, risk and compliance. We are a progressive professional services group including a solicitor practice providing organisations with an integrated blend of legal, consulting and safety solutions. We believe that there is a better way to deliver legal and business services. Since 2002, we have been doing things differently, challenging the status quo, and asking the important question: Why? Why are services delivered in this way? Why are business advisory and legal firms structured as they are? And most importantly: Why is the client coming to us, and what is it they actually want? We enjoy what we do and enjoy being part of a team. We believe everyone should feel valued, and we want our people to growth with us and share in our success. We cut to the chase, focus on the issues and make things happen. That’s what drives us. We are continuing to grow and we need great people who think like us to help us deliver our goals. We believe our advice, whether legal, business consultancy, HR or safety shouldn’t be given in a vacuum. It should be provided with a rounded view of the pressures and considerations facing our clients. It should be practical, proportionate, balanced and, of course, useful. It should add real value and be advice – not just a list of options. We love technology and use it wherever we can. We want dealing with us to be as easy, straightforward and worthwhile. That’s our vision, if it sounds like yours, it would be great to talk. We are a progressive firm, committed to meeting a wide range of clients' needs. We continuously aim to improve our quality of service, legal expertise and responsiveness to ensure that clients receive the best possible legal service in our areas of expertise. We have moved with the times and will keep doing so, and are constantly investing heavily in technology. Our offices are equipped with practice management systems that enable us to streamline procedures and work efficiently to make sure that things run smoothly and are cost effective for our clients. As further testament to our commitment to providing a quality service as Staffordshire Solicitors we became Lexcel accredited in 2004 and have maintained the quality mark with annual visits from an independent assessor. Since 1898, Redkite Solicitors have been helping individuals, families and businesses across Wales and England resolve their legal issues with dedicated support and tailored solutions. Redkite Solicitors was formed following the merger in 2011 of two large firms of Solicitors, Lowless & Lowless who were based in Pembrokeshire in Wales, and Morris Roberts Solicitors of Carmarthenshire, Wales. Over the years we have been joined by many other firms of Solicitors including Paul Settatree & Co, Walter Williams Solicitors, Rogers-Haggar, Trant & Richards and Steel & Hitchcock. Our quest to grow and find the most dedicated legal experts in the UK brought us to a merger in 2017 with three longstanding law firms, Charles Crookes of Cardiff, George Tudor & De Winton of Brecon and The Phoenix Legal Group of Stroud, Stonehouse and Dursley in Gloucestershire. The Phoenix Legal Group itself comprises of four law firms from the Gloucester area; Goldinghams LLP, Lapage Norris Sons and Saleby Ltd, Read & Co Solicitors and Scott Keen LLP who also decided to merge in 2011. While Redkite Solicitors continues to evolve and improve, some things will always remain the same: our passion for helping people and our dedication to the communities in which our offices are located. The founders of Redkite started the journey to use our specialist skills to help our clients from one stage in life to the next. From victims of injuries to separating families and businesses looking to expand, our solicitors work each day to achieve the right result for you; whether it’s compensation, a successful business transaction or a fair divorce settlement. Our firm is founded on the principle of specialist expertise, and our expert teams of solicitors provide guidance in virtually every aspect of the law. We are committed to keeping our advice simple, straightforward and jargon free because the last thing you need when you are facing a legal issue is to be bombarded with complex legal terminology. As a law firm rooted in our local community, we are proud of our history and that means for our offices in Wales we will give you the option of receiving your legal advice in Welsh or English: whichever suits you best. When you instruct one of the experts at Redkite Solicitors, you can be sure you’re receiving advice you can trust from experts who will be with you, every step of the way. Slade Legal is a well-established and regionally respected law firm. We offer expert advice and helpful guidance and are keen to assist you, your family and your business in any way we can courtesy of legal specialists with extensive experience and skill in their respective areas of expertise. 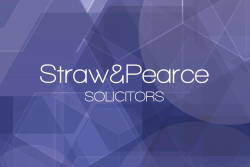 For more than one hundred years Straw and Pearce has provided trusted and reliable legal advice to businesses, families and individuals in the East Midlands. With offices in Loughborough and specialist teams of lawyers, we have expanded and developed to meet all the demands of a twenty-first century legal practice without compromising the tradition of friendly, personal service on which the firm was built. Straw and Pearce is committed to delivering the best quality service. We are Lexcel accredited. Lexcel is the Law Society’s legal quality mark for excellence in legal practice management and excellence in legal client care. Surjj Legal offers a wide range of legal services to individuals and organizations providing educated, informed, skilled and approachable service to all our clients. We have a great deal of practical experience gained over many years having represented leading blue chip companies, SMEs and individuals alike. We have specialist experience and expertise in all aspect of law with specific key capabilities in Intellectual Property including developing, managing and protecting ideas, innovation and brands across international jurisdictions. Switalskis Solicitors provide award-winning legal advice and representation to individuals and businesses from 13 locations in North, West and South Yorkshire. The team prides itself on its ability to offer a joined-up, highly personal service to clients, with lawyers who combine local knowledge with nationally-renowned expertise to deliver a first-class legal service. T G Baynes is your leading local Solicitor in Kent, with offices in Bexleyheath, Orpington and Dartford. We provide a range of Legal services for both Individuals and Businesses . An essential part of our philosophy is the recognition of the need to listen to clients, talk over their concerns and help them at every stage. We thrive on building enduring client relationships based on proven professional and practical skills with the help of our flexible and reliable staff. 12 partners and 13 solicitors plus 3 consultants in addition to around 97 other staff across five locations, we are one of the significant legal service providers in the South East. The firm has been awarded the quality mark necessary for public funding work in the specialist areas of family law. Since June 2004 the firm has held Lexcel accreditation , making it one of the few firms in England and Wales to acquire The Law Society's standard of excellence in practice management, file management and client care. The firm is included in The Legal 500 amongst the largest firms in the country. It is recommended in THE LEGAL 500 for its work in Debt Recovery, Personal Injury and Clinical Negligence. TV Edwards was established in the East End of London in 1929. Now with offices across London, the firm enjoys a national reputation for delivering first-class legal services. We have been recognised for the innovation shown in IT development, leading the field and supporting our teams of lawyers in achieving excellence.